James T Wood: Call to What? Throughout history we have seen very similar stories. They are the stories of the hero and his/her journey. The basic journey of the hero is a quest. But what actually happens on that quest is the hero is transformed into what they were destined to be. All of those stories start with a call. In writing it's known as the Call to Adventure. Arthur draws Excalibur from the stone. Luke is given his father's lightsaber. Harry is given an invitation to wizard school. Katniss takes the place of her sister. The underlying presupposition behind all of those calls to adventure is that the nascent hero is passive and must become active. They are being affected by their worlds and they are given a chance to affect their worlds in meaningful ways. The power of the heroes journey is that we all want to create meaning. We all want to do something purposeful. We all want to stop having the world happen to us and start shaping the world. That's the call. Not necessarily to adventure, but to relevance. To meaning. To purpose. In the past it was useful to prepare children to become adults with stories of battle (for the boys) and being rescued (for the girls). Even if the hearers of those stories were peasants, they still would be called upon to fight (for the boys) and to rely on people fighting (for the girls). Purpose was survival. Purpose was protecting what was yours from those who wanted to take it from your. 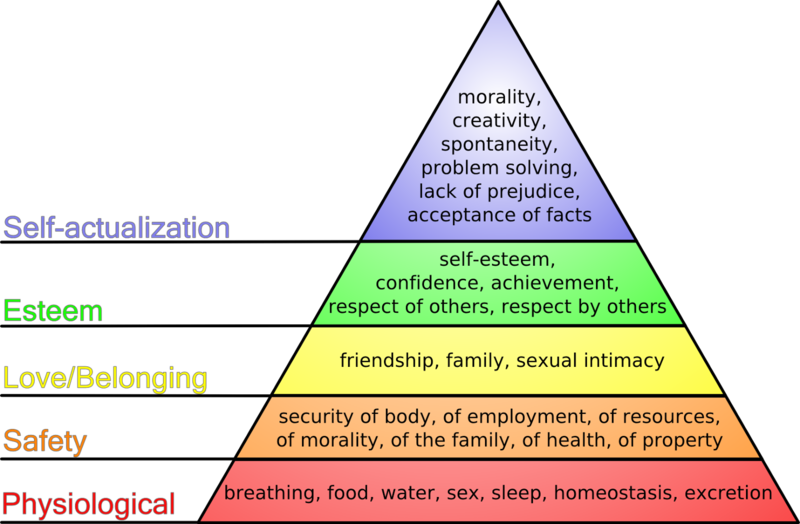 Purpose was addressing the lowest levels of Maslow's hierarchy. The purpose for most people in throughout history was to secure safety. The hero's journey led people to protect themselves and those they loved. As a reward, the heroes would get love and belonging. The prince gets the princess and they live happily ever after. 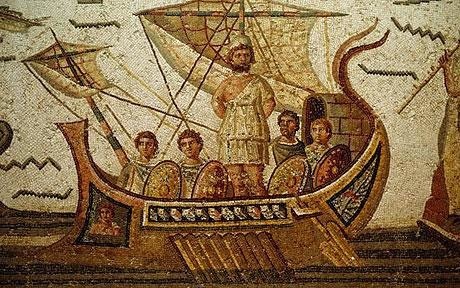 Or, perhaps, they could win respect through achievement as Odysseus did after his journey. Or, in rare cases, the end could be self-actualization, as in the story of Arthur and Camelot (though that seemed fated to crumble). As our modern stories issue calls to adventure, they are often stuck in the lower levels of Maslow's hierarchy. They focus on people seeking basic survival or safety or freedom. But most of the readers today have all of those things and much more. Most of the readers today struggle with gaining esteem or self-actualization. So what are stories to do? Stories can remind us of what we have. Post-apocalyptic tales tell us, in part, how great things are right now and how important it is for us to remember that. Even the smallest change could send us all back to the point where we must kill or be killed just to get enough to eat. Stories can remind us of what we want. The world of Harry Potter is one where a boy finds belonging, friendship, and respect. He lacked all of those things in the muggle world and gained all of those things in wizard school. Stories can also remind us of what we need. Luke chose compassion over revenge. He chose selflessness over pride. He chose redemption instead of justice. Despite all of the things that the Empire and Vader had done, Luke offered forgiveness. Stories can draw us into our own adventures, but they can also leave us mired in past conflicts. As we tell stories and hear them, we need wisdom to know which stories are calling us to the adventure of maturing and which are calling us to the false-adventure of reliving the past. Which stories have called you forward? Which have been false-adventures? Note, these thoughts were in response to the Novel Ideas podcast.